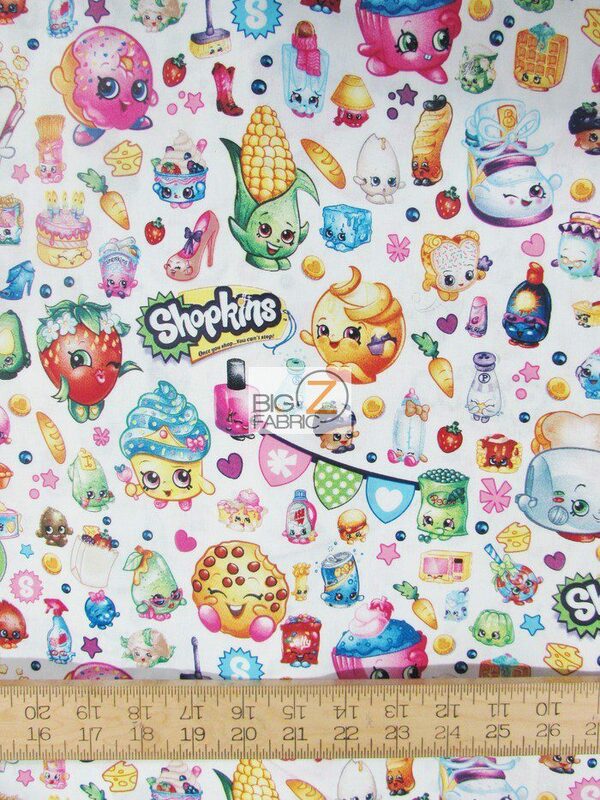 The collective Shopkins miniature toys that kids all over the world adored now are printed in 100% cotton fabric made by Springs Creative. 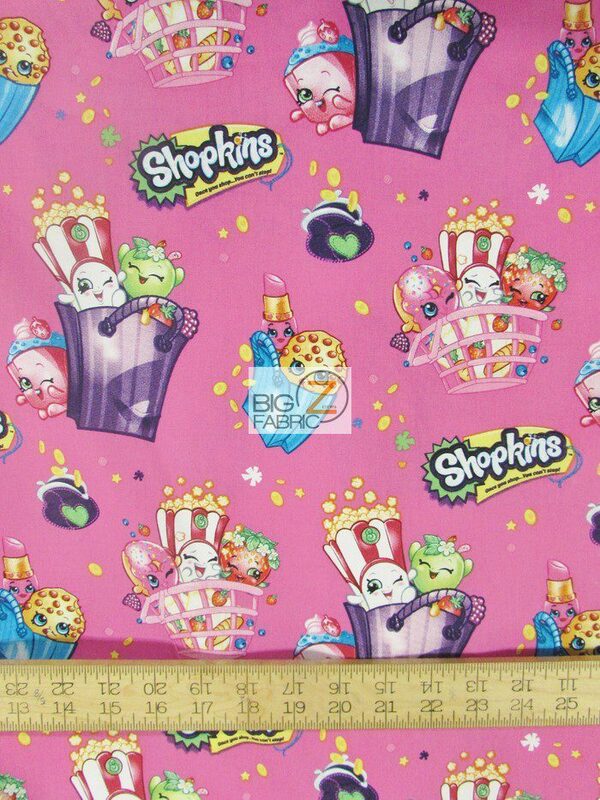 Make Shopkins dresses, skirts, shorts, pajamas, home decorations and more for your children and family members. 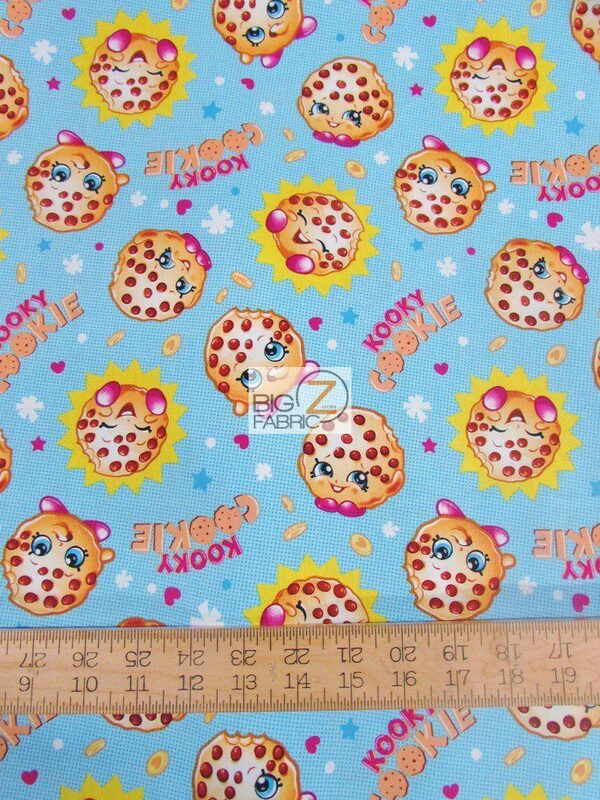 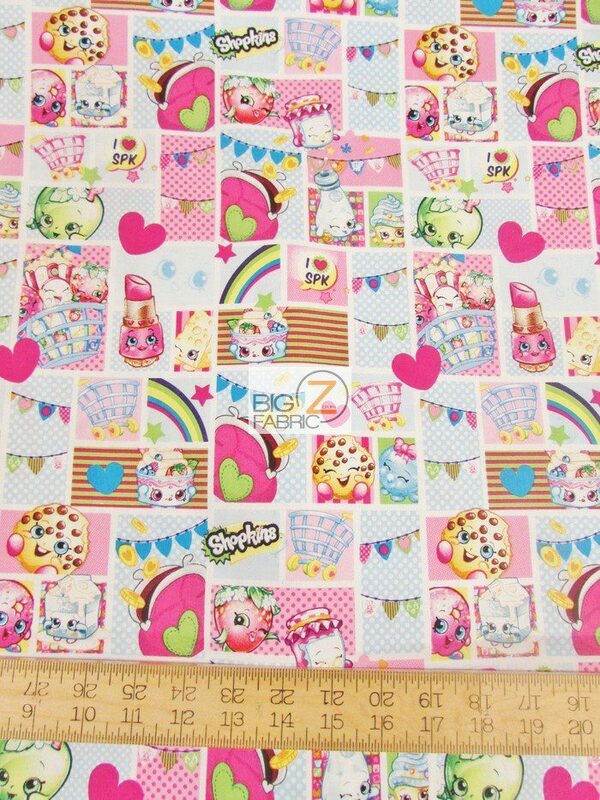 They will adore you forever.. Our Shopkins 100% Cotton Fabric has a width of 45 inches and is sold by the yard.